Home / Health & Personal Care / parental guidance / Domiciliary Care: Is It The Right Senior Care For You? Domiciliary Care: Is It The Right Senior Care For You? Find here information and resources to help provide a better understanding of domiciliary care and to help you understand if it could be the right senior care for you or a loved one. When you age you can remain healthy well into your later years if you take enough exercise, stay mentally active and eat a healthy diet; but sometimes unforeseen illness or an accident can mean that you require some level of help and care in the home. The senior care industry has previously heavily relied on residential care homes to provide the care needed to support the elderly. However, domiciliary care and live-in care have now begun to match the benefits and be more readily available and better understood so, offer a great alternative to an elderly care home. If you are one of the nearly 100% of people who the Live-in Care Hub discovered would rather avoid residential care, then you may want to consider domiciliary care. Domiciliary care is care provided in the home of the person who needs support and care. It takes many forms, and can be as basic as helping a person wash and dress, to helping a person with every aspect of their life, from medicine administering, helping a person get to doctor and hospital appointments, helping with pet care and gardening, and even providing care to a person when they go away on holiday. Domiciliary care is typically where a carer visits a person in their home and provides care for a set number of hours per day at pre-arranged times. This is usually twice a day in the morning and evening but can be more frequently if that's what is required. Alternatively, the professional carer may live with the person full time providing care whilst living in the client's home. In such live-in care arrangements, there would usually be at least 2 carers so that care needs are covered during holidays and in case the carer is ill. The client decides on their own routine – just as they probably have for most of their adult life. The client has a say in what they eat and drink, and when. So favourite home cooked meals can be prepared by the carer and enjoyed in the company of the carer rather than eating mass-produced meals with limited choice as would be typical in a residential care home. The carer makes positive suggestions about socialising, nutrition and mobility and encourages and helps their client to go out and about where possible; to eat healthily and to stay as mobile as possible. The client is able to remain in their own home – a safe, familiar place containing a lifetime's worth of memories and possessions. The loneliness which affects many older people and can be as harmful as smoking 15 cigarettes a day, is combatted because of the companionship provided and also because the professional carer will encourage and help the elderly person to attend social events such a coffee morning in the community. Clients can remain with their spouse and/or their pets – many domiciliary carers will help with pet-care and relieve the pressure on the spouse who has probably been providing unpaid care. Clients can remain safe in their home, giving relatives and loved one's peace of mind that it has not been necessary to move the elderly person into a care home when that is not what they want. These are just some of the benefits of domiciliary care for older people. There are often many more for each individual case and the best domiciliary care agencies and providers will ensure that the carer is a good personality match for the person that needs the care. In many such situations, the carer can become a trusted family friend. 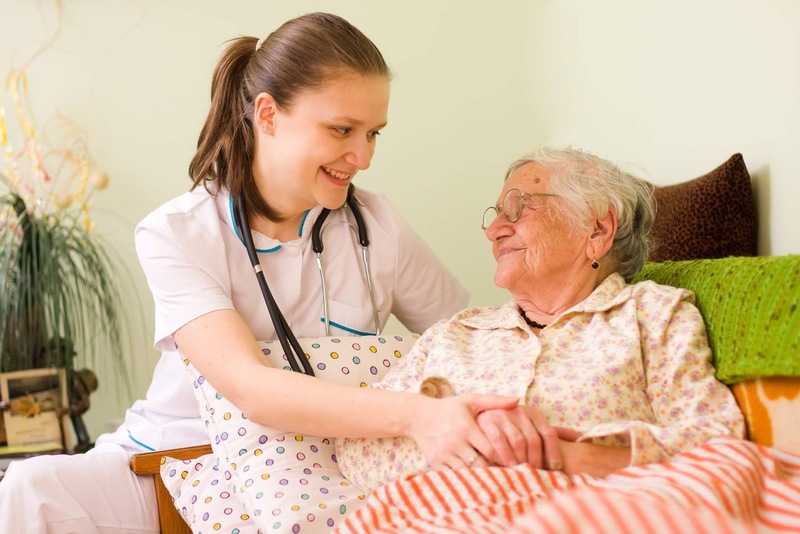 Is Domiciliary Care Right For You? There are lots of factors to consider when it comes to which type of elderly care is right for any one individual person or for a couple. For example: financially if you are in a couple and you both require senior care, then you will find that domiciliary care or live-in care can be significantly cheaper than two places in a residential care home or nursing home. Also to be considered is a personal preference for living in a care home or living at home, your family's preferences for your care, your needs, whether you have pets or not - these are all factors to consider as well as many more. We already know that, statistically, very few older people actually want to go into a care home. It is often a decision taken in a crisis situation when the elderly person and their family think there is no other choice. But there is always the choice of domiciliary care or live-in care and as this option becomes more widely known and better understood, it is hoped that no elderly person should feel they have to move to a care home if they don't want to. The more informed you are, the more balanced and educated your decision will be so that you can have the high-quality of later life care that you deserve.